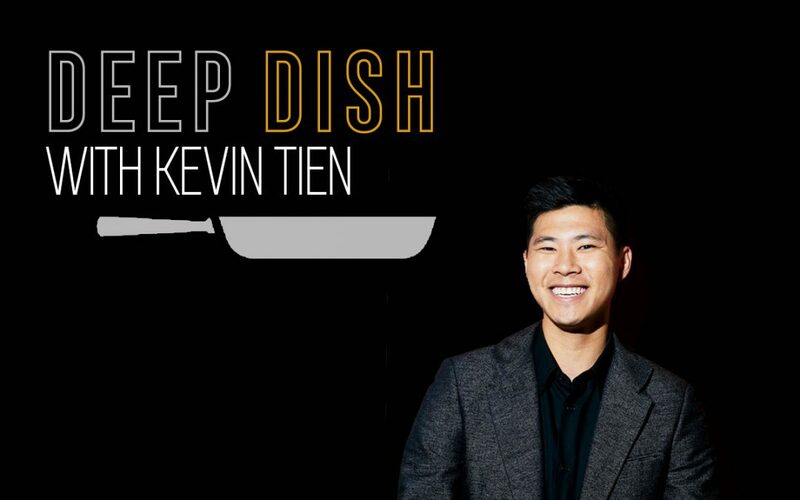 Next in our “Deep Dish” series is Kevin Tien. Born to a military family, Kevin Tien spent most of his childhood and early life in Louisiana and was educated at both the University of Louisiana and Louisiana State University, where he received degrees in business administration, finance, and analytics. In between and during early restaurant work, Tien applied his learned skills as a business analyst at companies like Geico. He found, though, that his heart lay in the kitchen jobs he’d held as a student working to pay the bills. Louisiana restaurant Tsunami, where Tien worked for 10 years throughout his schooling, felt more like home than any office setting. After college, Tien moved to Houston and entered the scene there with a job at Tyson Cole’s Uchi, before heading back east in 2013 to end up in D.C. He spent time at Kaz and José Andrés’ Oyamel, before rising to a coveted sous chef position at Momofuku CCDC. After nearly a year into his Momofuku rule, Tien began dreaming of opening his own restaurant, a space where he could showcase his culinary vision. Himitsu, which Tien opened in late 2016 with Carlie Steiner, became just that, serving takes on everything from crudo to karaage in D.C.’s Petworth neighborhood. Tien cites summer as an inspiration for the menu at Himitsu. That seasonal awareness combines with his extensive experience with Japanese cuisine combines to create a memorable eating experience well-deserving of all the acclaim it has received, including being named one of Food & Wine’s “Best New Chefs” in 2018. I am from Louisiana but now currently call DC home! I started cooking at a young age and worked my way through many kitchens learning as much as I can. I opened Himitsu two and a half years ago and have just opened a Hot Chicken Sandwich shop called Hot Lola’s. When it comes to food trends, what has been the most bizarre and the most exciting item that has hit the industry in recent years? The most bizarre food trend is the “raw water” trend. The most exciting is more restaurants are doing more in-house fermentation. What do you do to keep your ideas fresh in this ever-evolving industry? 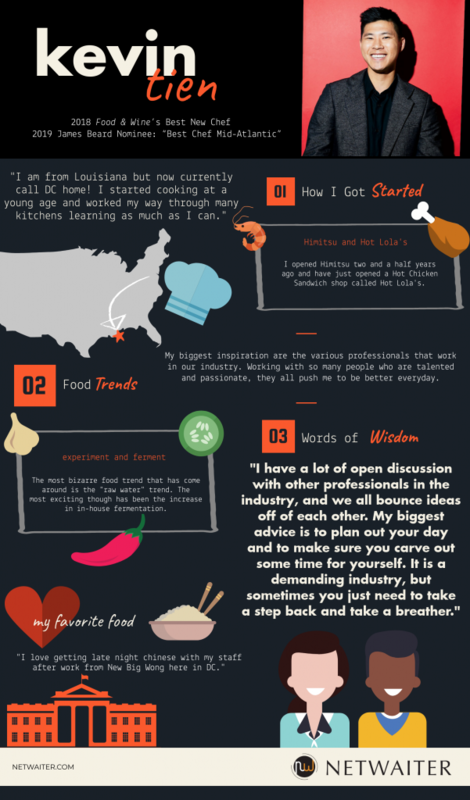 Who is your biggest inspiration as to how you got into the field of food? My biggest inspiration is actually just industry professionals. Working with so many people who are talented and passionate, they all push me to be better everyday. My biggest advice is to plan out your day and to make sure you carve out some time for yourself. It is a demanding industry, but sometimes you just need to take a step back and take a breather. I love getting late night Chinese with my staff after work from New Big Wong here in DC.